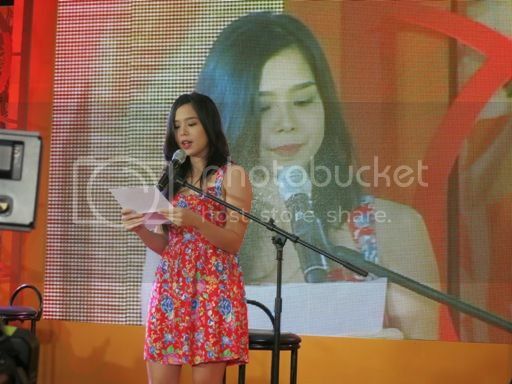 I was invited to a “sweet” storytelling session at The Atrium of the Eastwood Mall today. 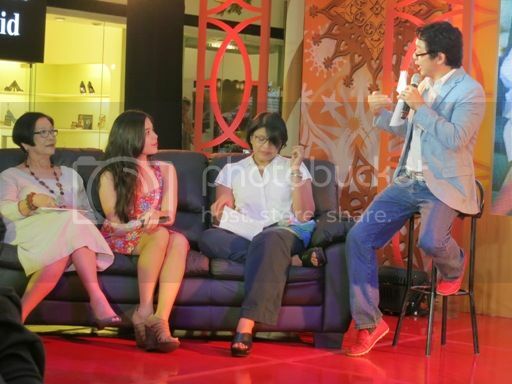 Toblerone, the legendary triangular chocolate from Switzerland, brought together three unique personalities to share their personal vignettes on Pinoy “lambing.” The event was hosted by RJ Ledesma. 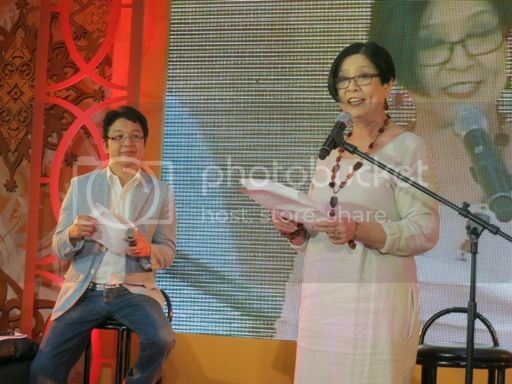 Columnist and entrepreneur Twee Gonzalez, RockEd founder and writer Gang Badoy-Capati, and actress and blogger Saab Magalona recounted their personal Toblerone memories. 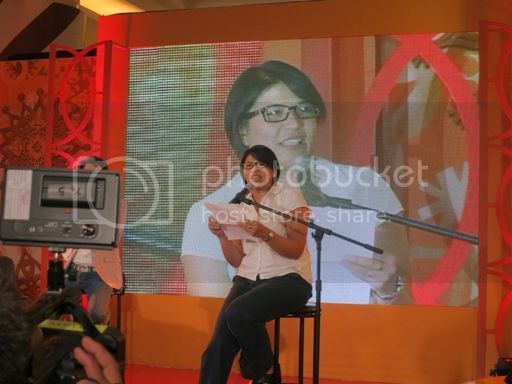 This storytelling session also tackled issues such as the evolution of Pinoy lambing from the baby boomers to the millenials, whether online chats carry the same weight as the handwritten notes of an earlier generation, whether or not technology divides and bridges, and if Pinoy lambing still speak the same language. 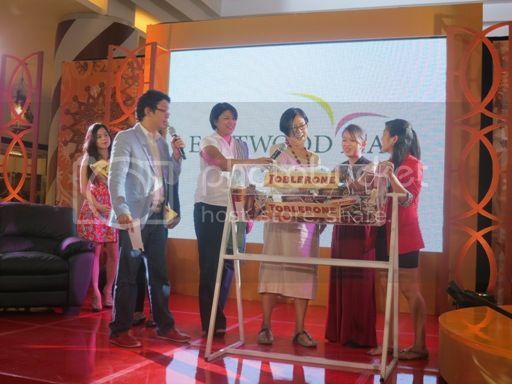 After the storytelling session came the launch of the Toblerone Oversize Gift Bar, an ideal gift for family and friends this Christmas. The Toblerone Oversize Gift Bar is a Toblerone weighing 4.5 kilos. 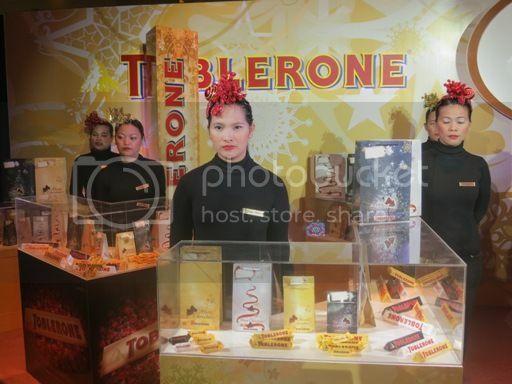 To bring “lambing” closer to their customers, Toblerone Philippines also announced that every weekend starting now until December 16, Toblerone Gift Hubs will be opened in major malls around Metro Manila. Here, customers can purchase their favorite Toblerone variants and have them personalized and gift-wrapped for their loved ones. 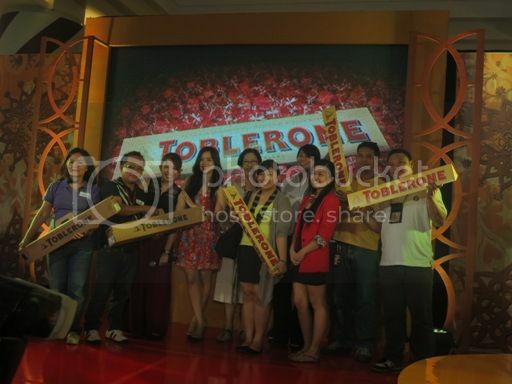 They will also have a chance to win one variant of the Toblerone Oversize Gift Bar. 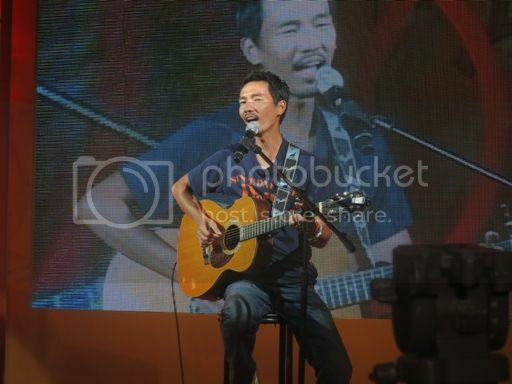 Paolo Santos serenaded the crowd after the launch of the Toblerone Oversize Gift Bar and the Toblerone Gift Hubs. 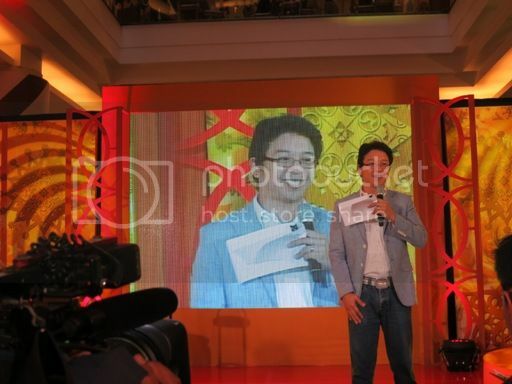 Members of the media also awaited the drawing of the raffle winners. Five lucky people would each take home one Toblerone Oversize Gift Bar. For more information on Toblerone and to know where you can find your nearest Toblerone Gift Hub, visit www.facebook.com/TobleronePilipinas. This entry was posted in Toblerone, Toblerone Oversize Gift Bar. Bookmark the permalink. I can eat that big toblerone all by myself but I do not want to have tooth ache so I will share. Haha! OMG. I would love to have one of those oversized Toblerone! yummy!!! want to have that oversized toblerone, ilove toblerone!! !